Heart Evangelista’s aspin, Panda took over Heart’s vlog on April 8. 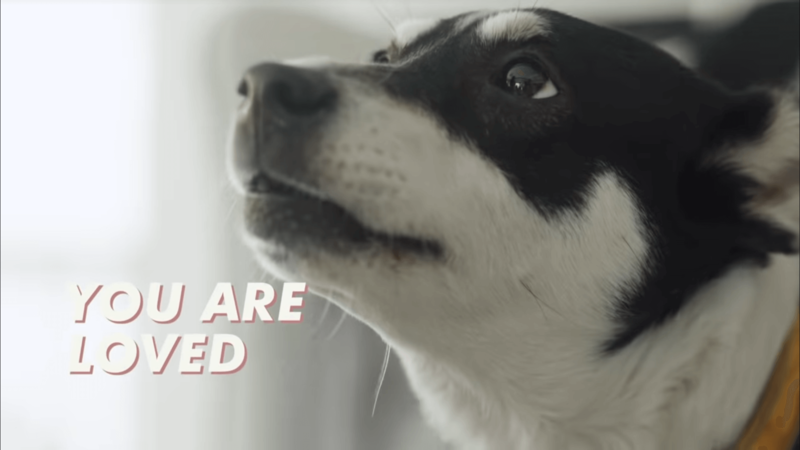 The video offered a glimpse of what it’s really like to be Heart’s beloved pooch. The video follows Heart and Panda as they go about their day. Panda tells her story through a voiceover and reveals that her name is actually Maria Panda Ongpauco Escudero or Princess Panda for short. Panda also gave a bit of a backstory of how she crossed paths with Heart. The four-year-old aspin originally came from Nasugbu, Batangas and it was love at first sight when Heart met Panda, prompting Heart to adopt her right away. According to Panda, she had a traumatic past but she practices self-affirmation and regularly tells herself that she is "good," "loved," and "beautiful." Panda also jokingly added that she has an Hermes scarf and Goyard collar around her neck, making us feel poor AF. While she loves following Heart around the house, one of her favorite activities to do with Heart is shopping. On their day out, the pair shopped at Mark Bumgarner’s atelier and shared that some of Panda’s favorite brands include Hermes, Louis Vuitton, Cartier, Gucci, and Carolina Herrera. On a more serious note, Panda said that while her life may seem super fabulous, she feels lucky to have been adopted by Heart. She reminded future and current pet parents that some dogs aren’t so lucky because “there are many abandoned and abused dogs out there who need a loving home.” She also encouraged everyone to adopt by going to animal shelters.